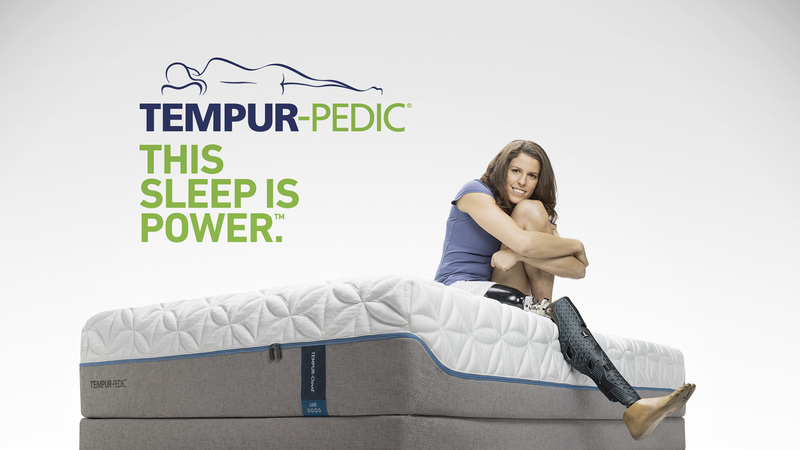 "Tempur-Pedic Sleep is Power" Marketing Campaign Defies Convention | Tempur Sealy International, Inc.
LEXINGTON, Ky., Feb. 28, 2017 /PRNewswire/ -- Tempur-Pedic Sleep = Power. This simple equation is at the heart of Tempur-Pedic's newest marketing campaign. The personal stories of those who have seen the powerful effect that sleep on a Tempur-Pedic® bed has on their daily lives are front and center in "Tempur-Pedic Sleep Is Power" - a nationwide campaign that begins this week. The campaign will be supported by record levels of advertising throughout the traditionally high-demand summer months. By featuring nine real owners who spend their days doing extraordinary things and spend their nights on a Tempur-Pedic, the campaign illustrates that sleep on a Tempur-Pedic changes the way people feel and how they perform and showcases the significant positive effects that Tempur-Pedic sleep has on their lives. 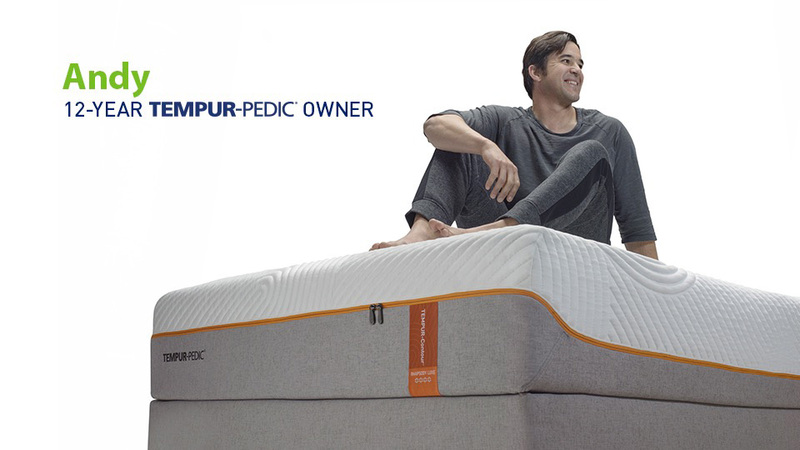 "This breakthrough campaign will connect with our future owners by clearly demonstrating through our current owners that sleeping on a Tempur-Pedic is not just about recharging - it's about personal growth," said Rick Anderson, Tempur Sealy Executive Vice President and President, North America. "Tempur-Pedic is designed for people who want to feel and perform their best, and for those who see this brand as an opportunity to optimize their personal potential. Through these inspiring testimonials, we will attract a new generation of owners. 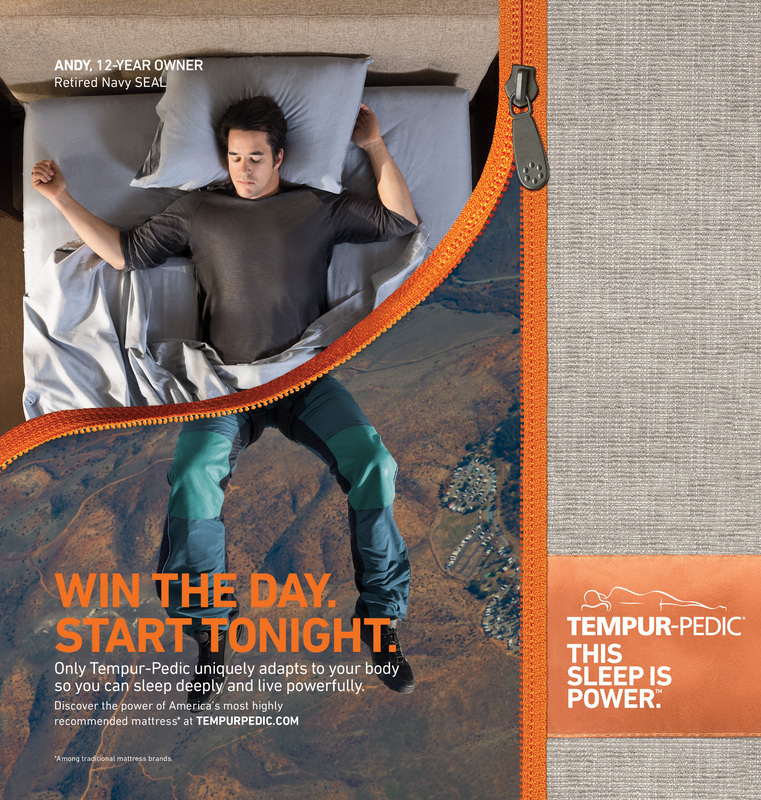 We believe this campaign will create unprecedented demand for Tempur-Pedic." Tempur-Pedic is a brand well known for innovation in the mattress business, and this campaign also defies category conventions. The campaign, which includes a mix of national TV, digital, radio and social creative, will be supported by a significant increase in national media. "Our authorized retailers deserve to have ready-made customers walk in their stores prepared to buy Tempur-Pedic products," added Anderson. "This message, supported by record levels of media weight, will do just that." The ad campaign kicks off with two TV spots featuring stories from Andy Stumpf and Michelle Salt. A military freefall instructor, Stumpf was a Navy SEAL for 17 years. He recently set a world record for the farthest distance traveled in a wingsuit with the goal of raising a million dollars for the Navy SEAL foundation. Salt is a Paralympian, realtor and speaker who was in a motorcycle accident in June of 2011 that left her on life support. These days she's also into snowboarding, dirt biking, wakeboarding, snowmobiling and mountain biking. Additional TV spots and creative featuring Tempur-Pedic owners with extraordinary stories will debut throughout 2017. "When I returned from service, getting restful sleep was a big issue for me because I couldn't get comfortable in my bed - I had (and still have) 30 pieces of shrapnel in my leg," said Stumpf. "As soon as I switched to a Tempur-Pedic mattress, I was finally able to find comfort and sleep through the night, which in turn completely transformed the way I was living my everyday life. I am now getting the sleep I need, which has enabled me to keep jumping and working with the Navy SEAL Foundation." Stumpf's story, along with others featured in the "Tempur-Pedic Sleep Is Power" commercials, is told by using a match-cutting editing technique, which superimposes two different images of the same person together. The print campaign seamlessly links how these individuals spend their nights on their Tempur-Pedic mattresses and their days training, running, surfing and living at peak performance. The result is visually compelling: each person literally has two sides - daytime performance and nighttime recharging on their Tempur-Pedic. The campaign, which debuted Feb. 27 and will run throughout 2017, will be placed on national TV networks such as HGTV, CNN, ABC, NBC, E! and History.